On this page we will be sharing our ideas and experiences that arise from farm life. Sometimes the experiences will be our own, sometimes we'll share the experiences and ideas of others that we feel relates in some way to the land or the life of a farmer. Neha & Anup – Trailer Film (Basic) :: NST Pictures New Jersey Wedding Video :: Chester, NJ from NST Pictures on Vimeo. It’s always fun to get professional wedding photos shared with us highlighting our work. It’s even more fun when the flowers appear in a slick wedding video! Congratulations to Neha and Anup! May you have a wonderful life together! Before the flower farm, there were the gardens. From the first backyard cutting garden we planted in Washington state, to the Family Garden at the New York Botanical Gardens, gardening has been a passion throughout the years. Even when moving from one home to another, some of the most beloved plants moved with us. 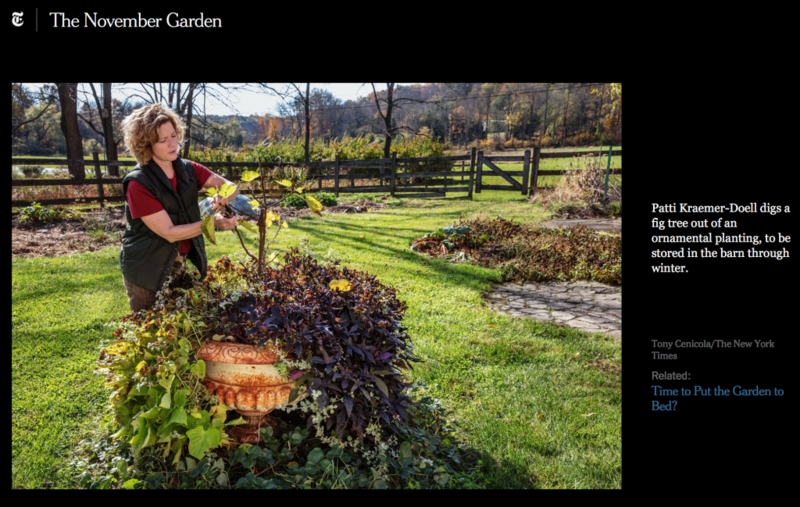 Needless to say, when New York Times journalist Michael Tortorello contacted us for a story on how to put the garden to bed in the fall we were thrilled. Michael spent an hour on the phone with Patti digging into the details of her work. About two weeks later, photojournalist Tony Cenicola, paid a visit to Little Big Farm to capture Patti digging up dahlias, pulling out annuals, and finding winter homes for sensitive plantings. The article is a great read for those who love cultivating the earth. There is a nice slide show and interviews with multiple gardeners who share their insights with Michael who has quite a passion for all things gardening and the home. Dozens of readers weighed in as they shared their garden wisdom as well. Thanks to Michael for writing the article and special thanks to American-grown flowers advocate Debra Prinzing of Slow Flowers for referring us. New peonies take time. Back in 2015, Patti and her team planted 100 “baby” herbaceous peonies knowing that they wouldn’t be able to harvest the blooms for at least two years. These perennials need the extra time in order to become established and mature before sharing their blossoms with the world. Sound familiar, moms? So after two years of waiting, there are just two weeks to go before the first flowers come out. We will be seeing blooms in white, coral, blush pink, and even yellow. 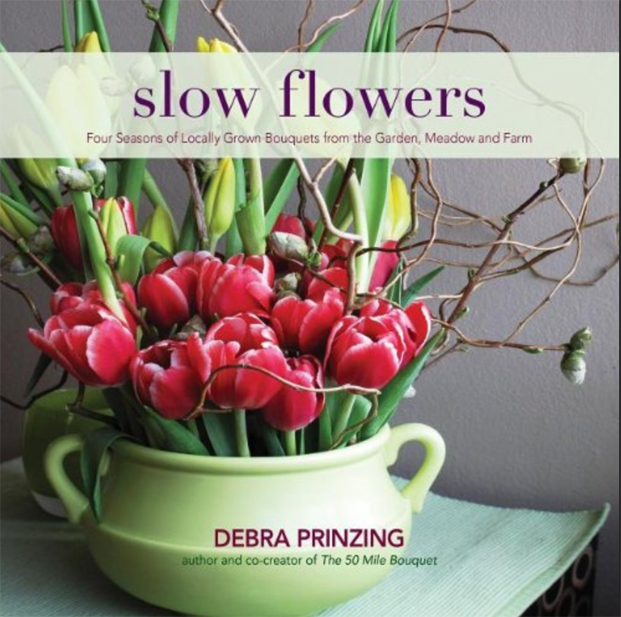 While peonies tend to bloom at the end of May or the beginning of June, it is possible to harvest and store them in just the right manner so that they can be enjoyed fresh for an event well into July or even August. However, the timing of the peony harvest is absolutely critical, for the difference between harvesting at the right stage and “too late” can be a matter of hours.